Are you suffering from shoulder pain? Shoulder pain is one of the most common types of injuries. Does your shoulder hurt to put on your seat belt or reach into the back seat? How about reaching into the top cupboard or putting on a shirt or sweater? Does the pain ever shoot down your arm or back up to your neck? Is it painful to sleep or turn over in bed? All of these are symptoms that can be caused by a problem with your Rotator Cuff or can be caused by a problem in your neck that is sending the pain into your shoulder. Dislocations, AC joint sprains/strains dislocations, osteoarthritis, or multiple other causes may be responsible for your pain. Sports injuries are also a common cause of prolonged shoulder pain. We can typically determine the source of the pain immediately upon your first assessment at the clinic. Treatment is started on your first visit and often the symptoms start to decrease quickly thereafter. If you have had any diagnostic tests done, we will gather the results and incorporate the information into the final diagnosis. If we feel that further tests are required, we will communicate with your doctor with your permission and explain what we think needs to be done to properly diagnose your condition. We will develop a personalized treatment plan for you and provide hands on treatment with the physiotherapist at every visit. We will prescribe injury specific exercises to speed up your recovery. We will take the time to explain everything to you so that you fully understand what is going on with your shoulder and how we will proceed to speed up your recovery. Getting back to your life and all of your activities as quickly as possible is the goal! Call today for an appointment at ! Who is most affected by severe shoulder pains? Anybody can be affected by shoulder pains. Common causes are injuries to the rotator cuff muscles. Injuries can happen due to trauma or from wear and tear over time. How are shoulder injuries treated? We treat shoulder injuries with modalities such as ultrasound and electrotherapy. These are very comfortable treatments to receive. We also do hands on mobilizations for your shoulder to release the tightness. Lastly, we give you very specific exercises that can speed up your recovery. Will I need surgery for my shoulder pains? Most people will not need surgery for shoulder pain. Conservative care, such as Physiotherapy is the treatment of choice. The only time that surgery is considered is if you are a major league pitcher or if there is a full tear to one of your shoulder muscles and Physiotherapy has ‘failed’. 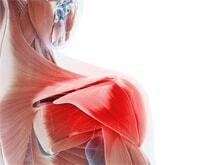 What are some warning signs or symptoms of shoulder pain? Warning signs include: you are having trouble reaching overhead, reaching behind your back or putting your arm into your coat. What risks are involved with a torn rotator cuff? Most people can recover well even if they have a full tear to the rotator cuff. We have other muscles that can help even if one is not doing its job. Physiotherapy is very effective in helping you to recover from a full tear. It is often less painful than if you have a partial tear or tendonitis. What causes shoulder pain to be worse at night? There are a few reasons why shoulder pain is worse at night. Firstly, during the day you are moving around and doing your day to day tasks. This keeps the shoulder a little more mobile and pain is not as noticeable. 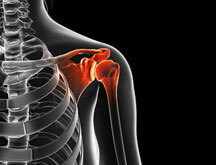 However at night, you are not moving around as much and this causes the shoulder to stiffen up more. Secondly, at the end of the day, it is likely that there are less distractions than during the day which makes you more aware of the pain. I have a popping noise when I rotate my arm. Is their something wrong with my shoulder? Some noise from joints like popping or clickins is perfectly normal. If those noises are associated with pain or other symptoms then there may be a mechanical reason why it’s occuring. If there is discomfort then it would be a good idea to see a physiotherapist so that they can assess the shoulder and provide any treatment if there is a problem with the shoulder. Does sleeping on your side cause shoulder pain? Not necessarliy! However, if there is a history of shoulder pain or a recent injury to the shoulder, then it may be painful to sleep on that particular side. Does lifting heavy at the gym cause long term damage to a shoulder? It depends! Lifting heavy doesn’t automatically mean there is going to be damage to the shoulder. There are safe ways to continue with lifting as long as there is proper posture and technique during the lift. Also, it is important to work up to heavier weights over extended periods of time so that there is enough strength in the shoulder to tolerate the lift. However, like any joint, if there is excessive use and repetitive motions over time, this may negatively affect the shoulder down the line. Therefore, it is important to do a variety of strengthening activities and be aware of any developing limitations so that injuries can be prevented. Does stretching everyday prevent shoulder pain? Stretching on a regular daily basis will definitely help prevent injury to the shoulder. A physiotherapist can help prescribe the most appropriate shoulder exercises that you can do at home to help maintain good shoulder movement and function.